In the last post, I explained how my dad is cooler than your dad. Today, it’s all about my mom. 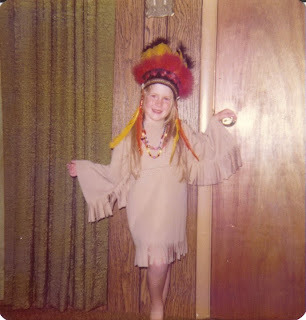 scraps, three feathers and about 30 minutes; that costume for the school play will be fabulous” kind of crafty. She’s the MacGyver of moms. More than once, I’ve thought how mom was totally cheated by the fact that Pinterest didn’t exist in the late 1970s-early 80s. She would win Pinterest EVERY DAY with all the cool stuff she whipped up for me back then. I wish I had pictures of all the cool stuff, but back then she was the one with the camera and was way too humble to take pictures of her brilliant creations. I do, however, have a few pictures and an excellent memory. And my excellent memory tends to categorize Mom’s craftiness into three categories. Mom just always seemed to see better, more kid-point-of-view ways of doing things. Last day of third grade party? Yeah, whatever. Last day of third grade party planned by MY mom? Oh yeah! We actually had the party at our house. She (with manual labor from Dad) had multicolored banners and flags hung up in the back yard along with a couple of mini-trampolines for us to jump away all that excess energy. And for games? Nothing boring like Duck, Duck, Goose. Oh no. We all got a loaded water gun and got to run around soaking each other and yelling like loons. School lunches were never boring. I had a Donnie and Marie lunchbox. (That’s not really part of the “Mom is awesome” thing, I just wanted to share.) In that Donnie and Marie lunchbox, Mom made sure my napkin always had a joke for me to share with my friends or some funny picture drawn on it. When my friend Rachel and I wanted to play dress up? She didn’t just pull clothes out of her closet. Oh no. She found a garage sale where a tiny (less than five feet tall) little old lady put some of her old Sunday clothes from the 1950s and 60s up for sale. We had dresses and gloves and proper hats and they were our size (more or less)! And if you’re my age, you remember records. For you kids born in the last two decades, records were big round flat things that would play music. Sort of like a really delicate mp3. Anyway, did any one of you old folks ever get a record for your birthday or Christmas? You could just look at it and know what it was before you ever unwrapped it…unless it was wrapped by my mom. One Christmas there was a tiny little box under the Christmas tree with my name on it. It weighed almost nothing. I couldn’t imagine what was in it. I had been staring at that tiny little box for WEEKS trying to figure out what it could possibly be by the time Christmas Eve rolled around! It was the first box I went for when we started opening gifts. I ripped into it and found a little piece of paper that said “look under the couch.” Mom had slid Michael Jackson’s “Thriller” LP under the couch. I never had a clue. Mom was a pro at making costumes on the fly. She might still be, but I haven’t had to ask her for one for myself in years and quite frankly, if she and Dad do anything that involves costumes, I just really don’t want to know. I had to save the best for last. In the late 1970s-early 80s, I (like pretty much every other little girl) LOVED rainbows. Actually, I didn’t just love them; I was obsessed with them. They were kinda my thing. If I saw anything with a rainbow on it, I insisted on having it. Despite MY obsession with rainbows, it was Mom’s brilliant idea to give me a rainbow room. And it was GLORIOUS. And the angels sang. The rest of my room had pale blue walls. I had a box bed (made by Dad) that was painted pale blue and I even had pale blue carpet. Walking into my room was like walking into Heaven itself. It really was GLORIOUS. Mom and Dad moved away from Andrews in 1998. I don’t really miss my hometown that much, but I really miss that rainbow room. So, take that, Pinterest. 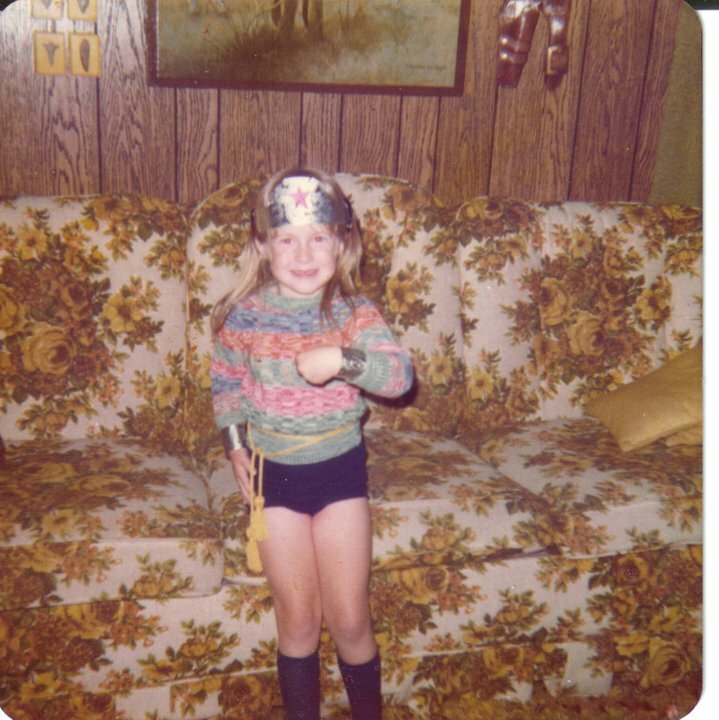 Your minions might be able to turn ketchup bottles into squeeze paint dispensers or show people how to organize their closets ad nauseum, but you will never be able to turn a little girl into Wonder Woman with aluminum foil and an Honor’s graduation cord. 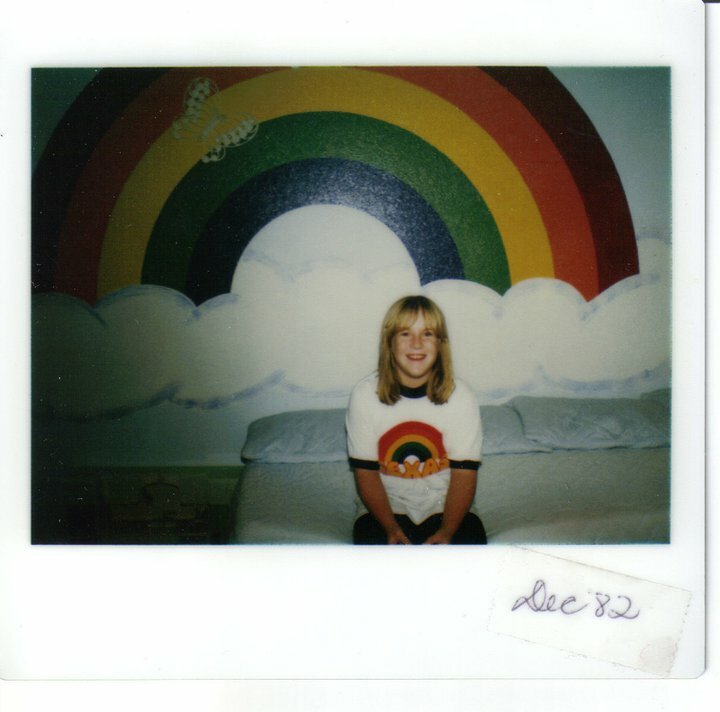 And you will never, EVER beat my Rainbow Room. Thanks, Mom. Re-read it today ...thanks to google's birthday greeting. I am so blessed with a wonderful daughter. Happy birthday! I'm so glad you're my mom. Enjoy your day. Love you.